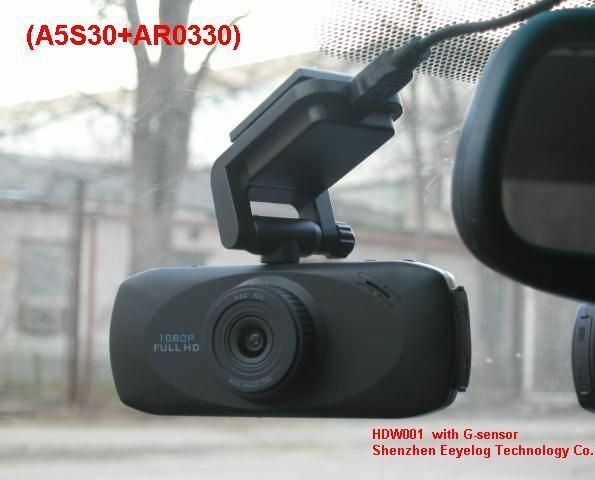 I'm seeing a new dashcam, made by Eeyelog called the HDW001, that looks similar to the GS6000. They have a HDW002 model that uses the A2S60 processor, but the HDW001 uses the A5S30 CPU. Specs look good, including 1080p/30, GPS, G-shock, microSD card, 140° lens, big 2.7" screen, and a nice mounting system where the GPS is housed. Quoted price is $111 with $27 shipping to USA. The image sensor is an Aptina AR0330, which is a 3.6MP camera with 2.2uM pixel size, announced in early 2011. 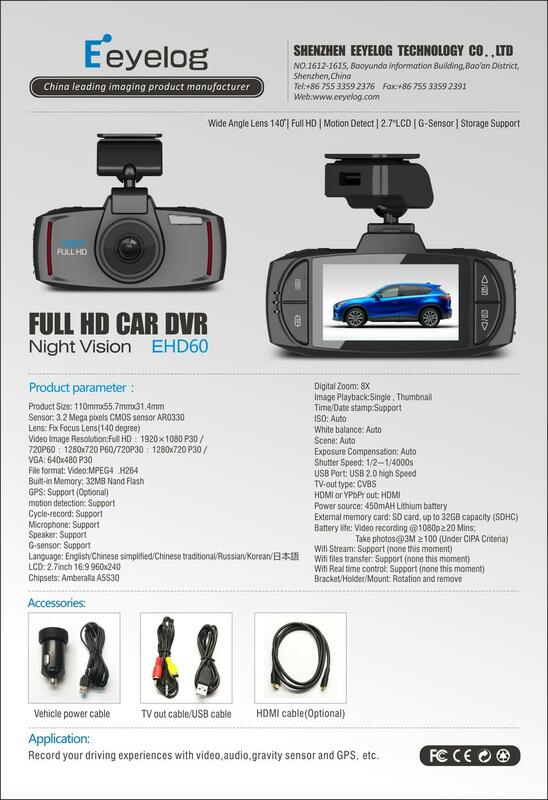 There are several videos you can find on Google for "Eeyelog HDW001" and a few show night vision capabilities. It doesn't look too bad. 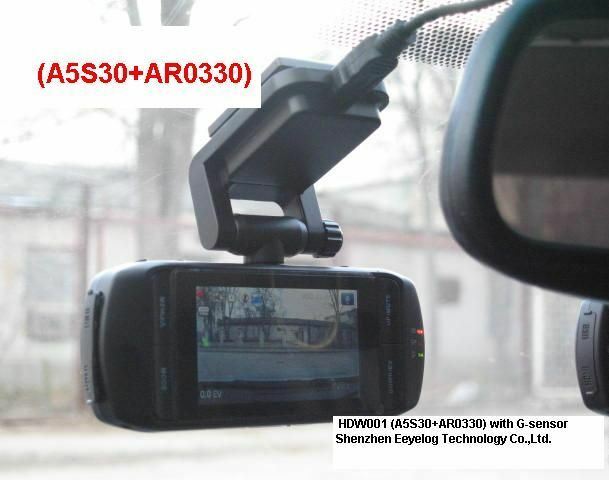 Does anyone have any input on this new dash cam? 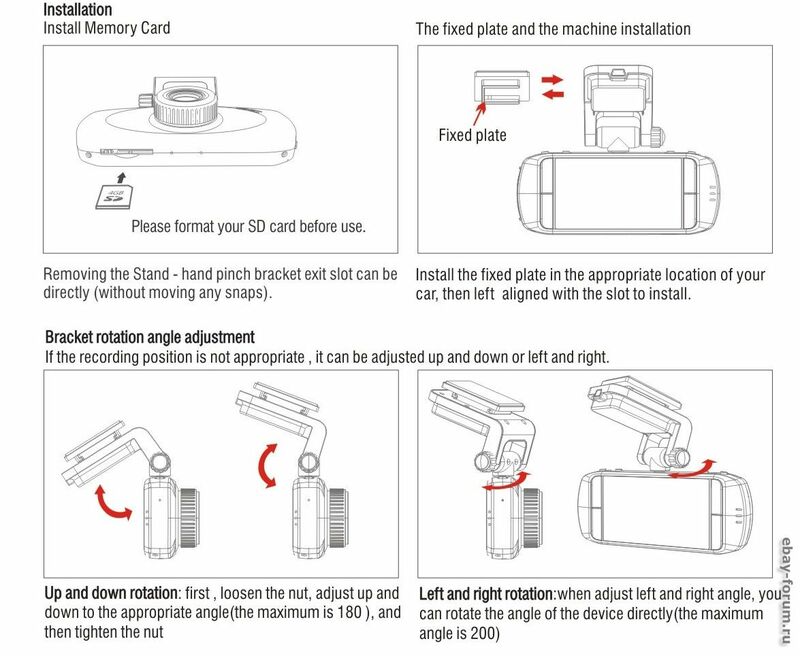 - Foldable bracket,easy to plug in and take off,the small bracket could be folded up freely. -Screen saver function could be set up in system menu manually,so as to save power. 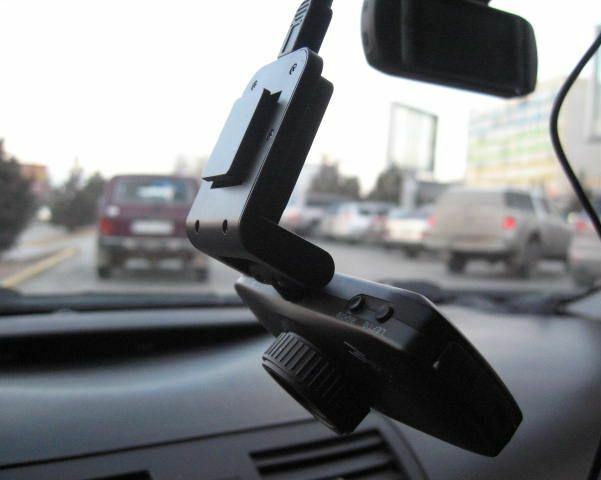 Maybe jokiin will tell you more about this dashcam. Until then you can make some search on the forum. This camera was mentioned a few times in the forum but since it appears to be only on sale on Alibaba, I don't think too many people have purchased it yet. Not sure why they don't sell this on Aliexpress. Spec wise, it seems good but real world usage is unknown. 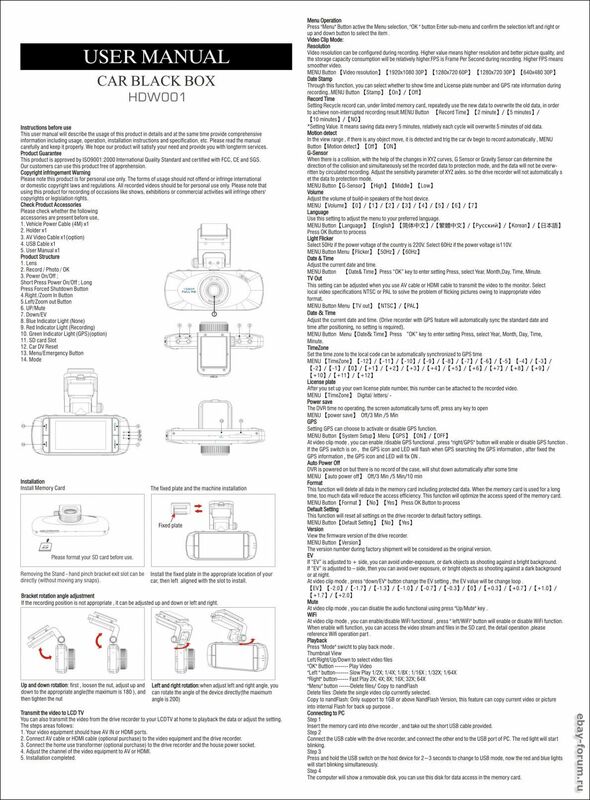 It's too bad that the Aptina AR0330 uses front side illumination (FSI), only the Aptina AR0832E is HD (8MP) and uses Backside Illumination (BSI). The downside to that chip is that it only does 15fps, and the industry is pushing for at least 30fps. Realistically, if the hardware is lacking to interpolate those frames, they could just double every frame and output 1080p/30. But that would be a cheap trick, although personally I think 15fps would be fine, and could even save bandwidth meaning you could record 12+ hours on a 16GB card. However, marketing might make people think it is a worse performer. The BSI process gets all the connecting wires out of the way of the CMOS sensor, so you get better low light performance. Apple touted it as a key feature in their new cameras recently on the iPhone 4S. 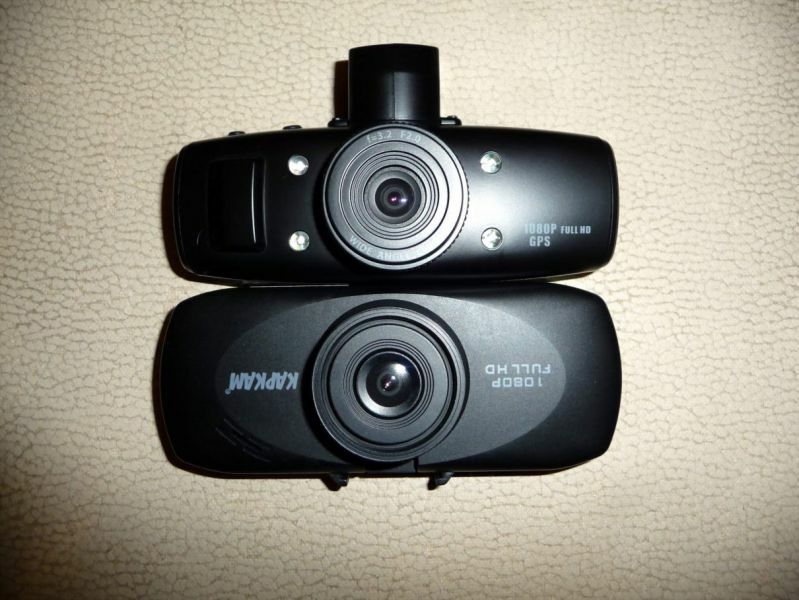 I think I may have to hold out a little bit to see if anyone is smart enough to package a small dashcam with an A5 CPU and a BSI HD chip. That would give some REALLY good low-light performance. I don't care about 3MP or 5MP, I just want real 1080p resolution. It would be awesome if they actually used the Sony Exmor R sensors, but I realize they are trying to keep prices down. Seems like it is a race to the bottom, not the top. LOL. Joklin - low light performance is in my top 5 features necessary for a good dash cam. I'm interested in hearing what you think about BSI vs FSI sensors, and how an A5 with more bandwidth than the A2 can improve low light performance. 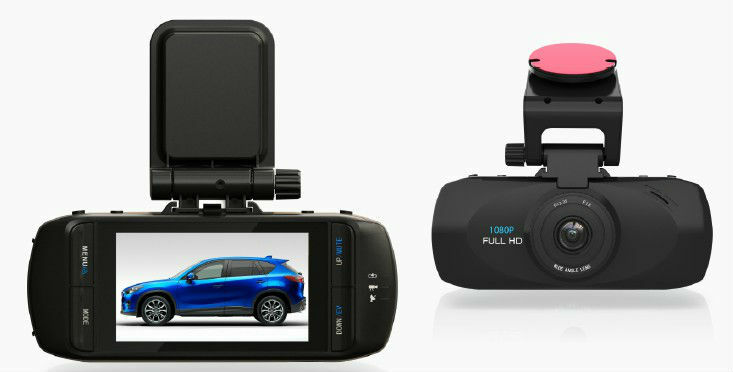 This will be an exciting year I feel for dash-cam manufacturers because the technology that will give a good low-light improvement is starting to come down in price enough that they may start using it on new models, and we may start seeing the rewards. Which camera you're producing then? 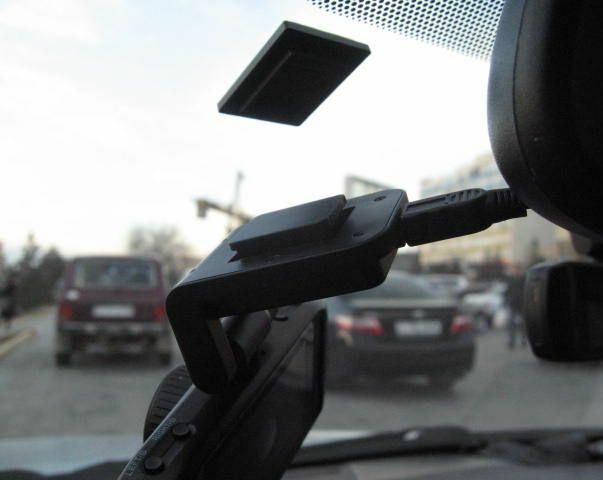 The Eeyelog HDW001 is becoming popular in Russia now. Many consider this the upgraded version of the GS1000. It also is sold as the Kapkam QL3 in Russia. Apparently there are 3 different models. You need to email them for the latest price. Standard shipping appears to be $20 to $25, EMS is about $40. There is a lot more info on this camera including firmware so I will post more in the next few days. The mount is strange for me. Even it can be a smart thing I think is too big judging from the pictures. It is nice they offer so many options for sale but is strange because there is no option for GPS and Wi-FI. Even if she say both can not work together because of some "interferences" I think they made a mistake somewhere when designed the camera and/or PCB. Here is a picture comparing the HDW001 with a GS1000. Some pictures of the mount. There are some firmware files available already. I don't have much info yet so be very careful using these. Also this version of Direct USB apparently works with Ambarella A5S processors. Just wanted to post some more info on this camera. Apparently the GPS resides in the mount and the WiFi resides in the camera unit. Due to electrical interference, they do not sell a model with both options. 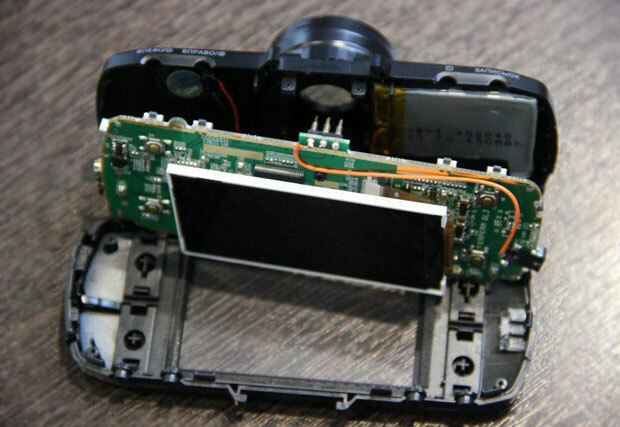 Here are some pictures of the camera disassembled. You can download the PC software player here but you need to have Quicktime installed for it to work. Here is a picture of the player software. 3. Insert the memory card into the dash cam and press the POWER button. 4. Do not touch the DVR for 1-3 minutes. 5. DVR will switch itself off, remove the card. 6. On the card will be a new file a5.bin. 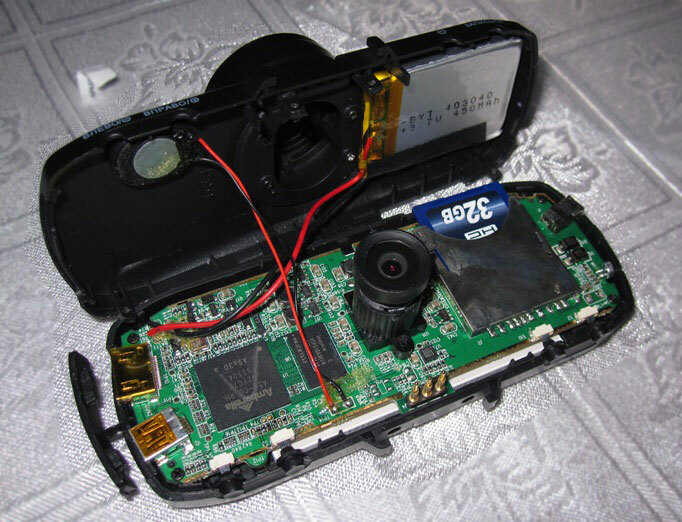 This is the cached copy of your firmware. Save the file. A few more videos as well. This looks like a pretty decent quality camera. I'm also looking at the Garmin and Honeywell too.